Are you plan to start your own mall mobile phone kiosk business ? are you still worried can’t find a unique design? today what I wanna share is a modern mobile phone kiosk. if you’re interested, pls follow me see more details at below. As you see whole phone kiosk is very modern and simple, mainly tone is white, match a little purple, very exquisite. 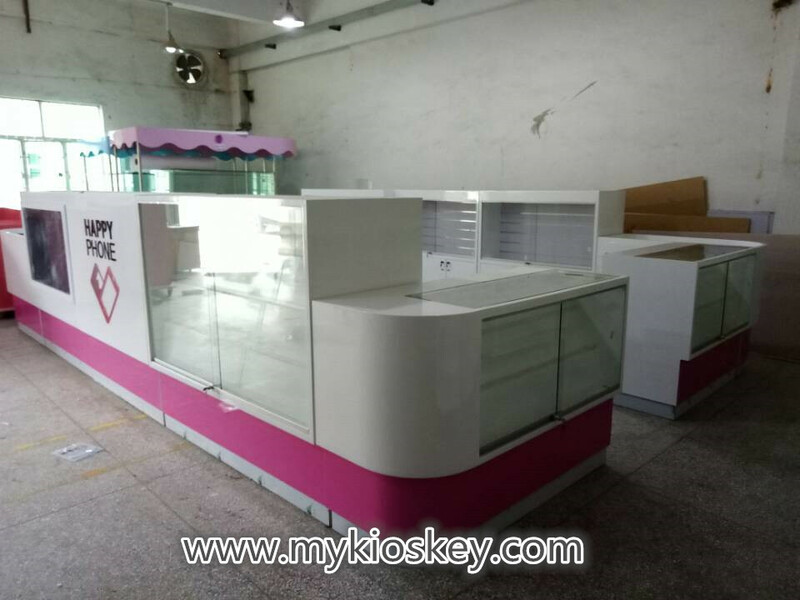 the whole kiosk basic material is fire retardant MDF, the surface is 2PAC painting finished, wooden display showcase match tempered glass door. the bottom of this kiosk with stainless steel skirting match white led light strip. 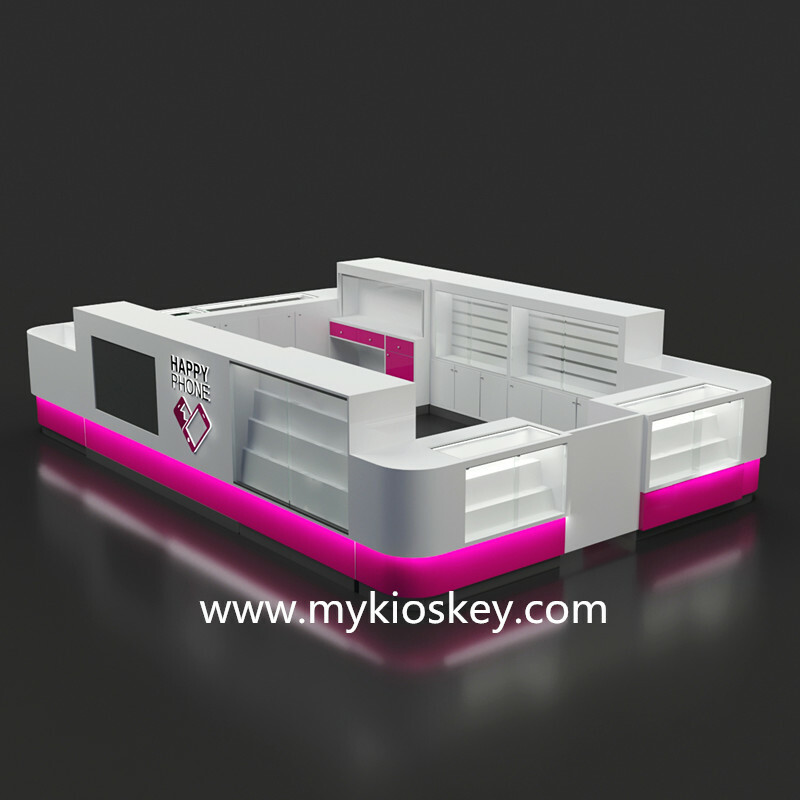 The shop is 6m length by 4m width, it mainly for mobile phone, phone accessories and phone repair service. the surface with Ladder display shelves, top part hidden led light strip, the inside with some Aluminum groove plate display wall. Some real production photos about this mobile phone kiosk. 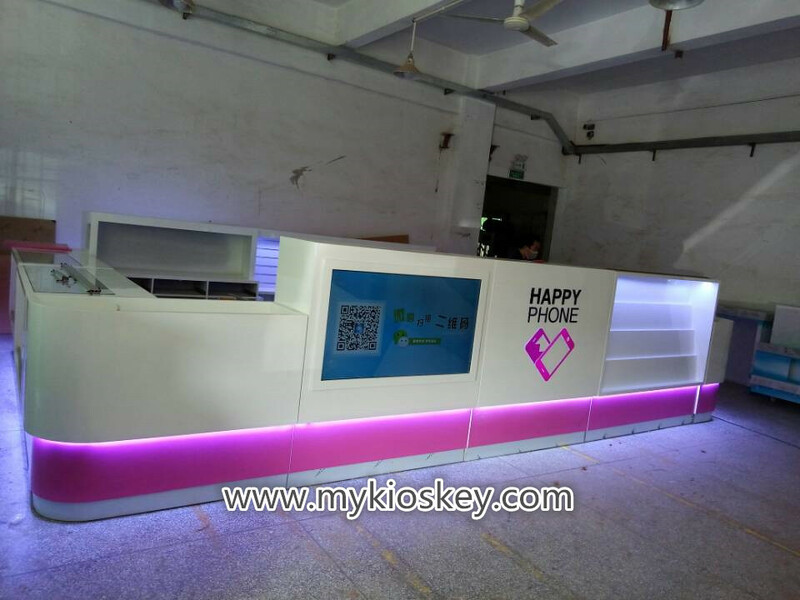 Thanks for your time and reading, if you wanna know further info or interested start a mobile phone kiosk like this one, pls feel free to contact us, thank you!